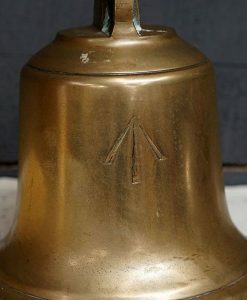 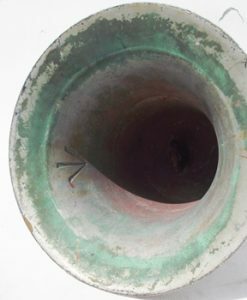 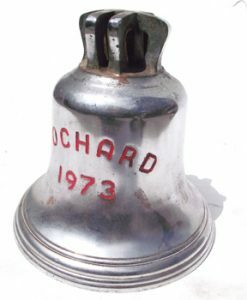 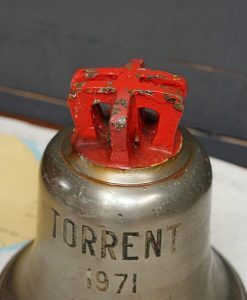 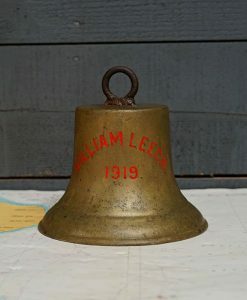 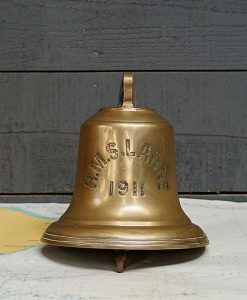 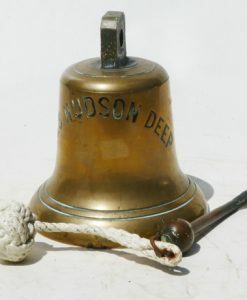 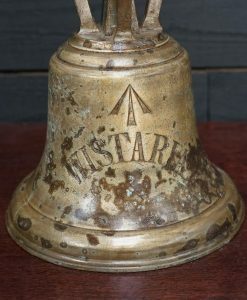 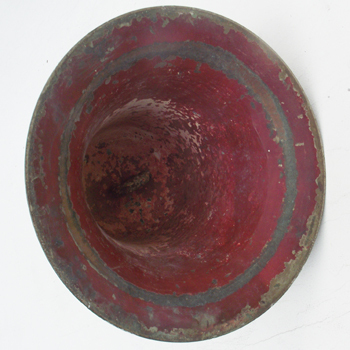 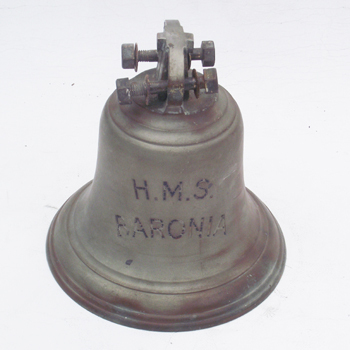 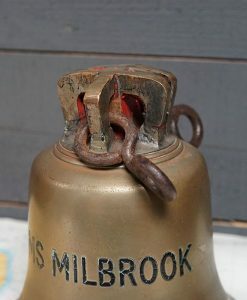 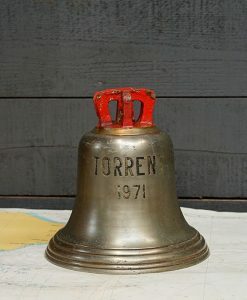 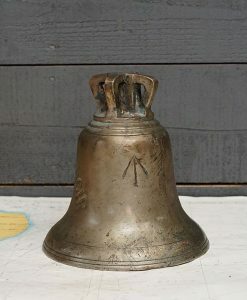 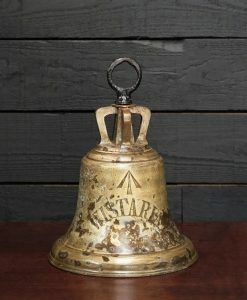 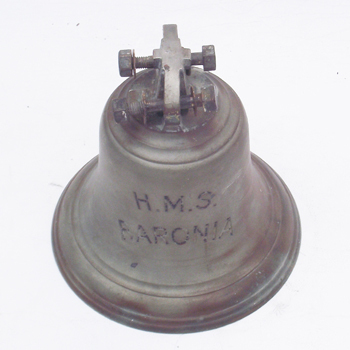 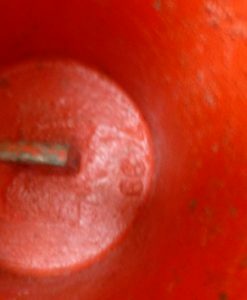 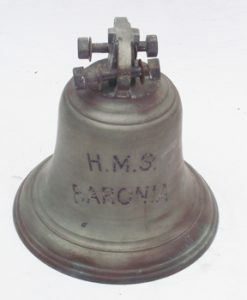 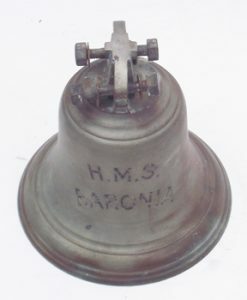 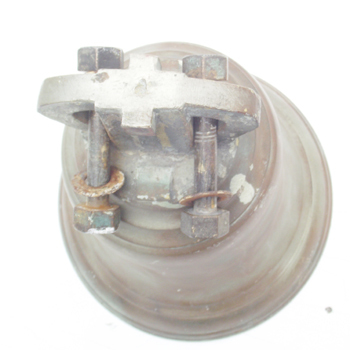 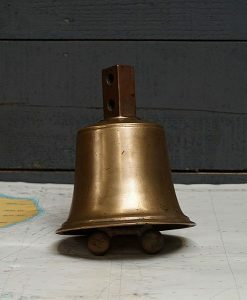 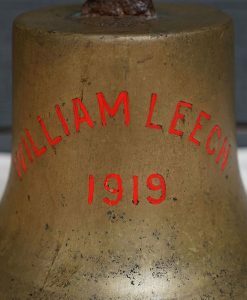 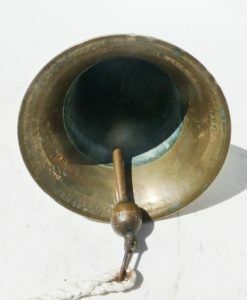 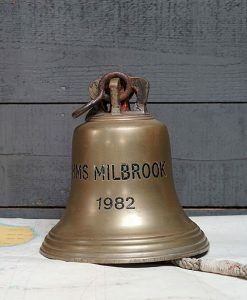 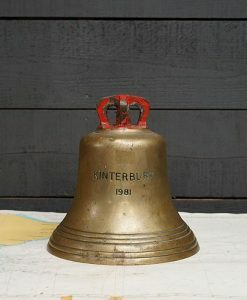 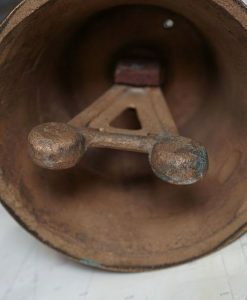 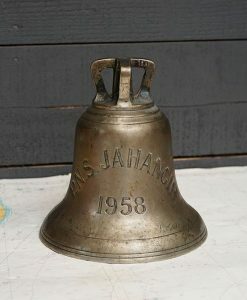 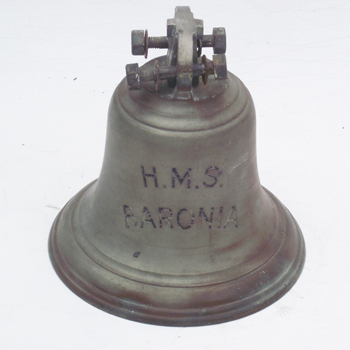 1940s bell from Hms Baronia. 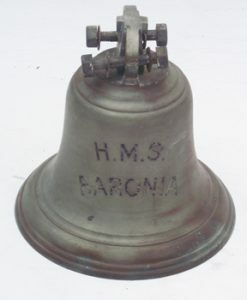 She was a boom defence vessel built by Charles Hill & Sons Bristol. 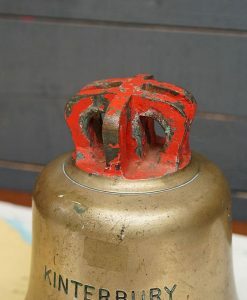 A net layer’s primary function was to lay and maintain steel anti-torpedo or anti-submarine nets. 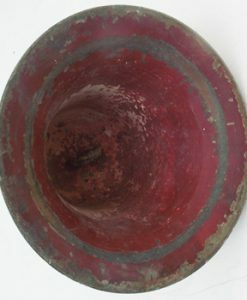 Nets could be laid around an individual ship at anchor, or around harbors or other anchorages. 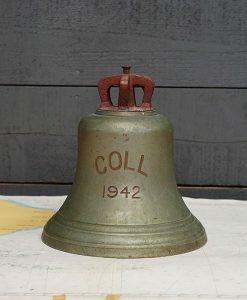 As the war progressed net layers were pressed into a variety of additional roles including salvage, troop and cargo transport, buoy maintenance, and service as tugboats. 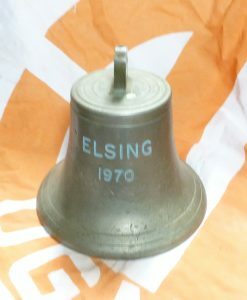 The bell comes with original clanger and lanyard. 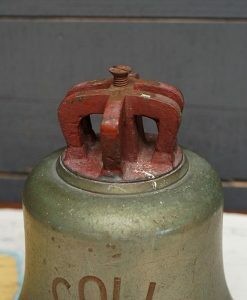 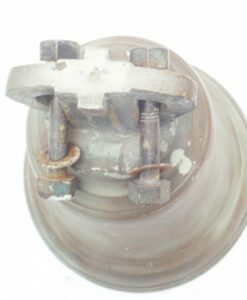 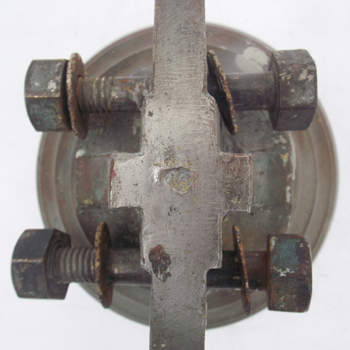 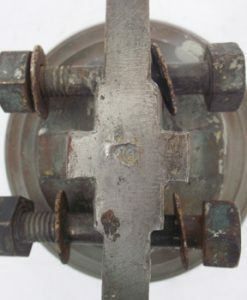 The Crown top has had 2 lugs cut away and has been threaded with bolts.